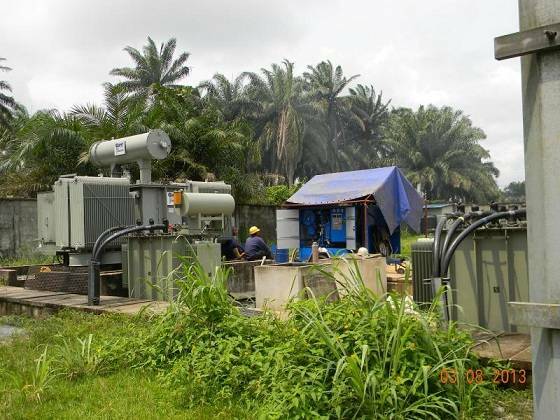 In early August our specialists delivered and commissioned a trailer mounted transformer oil degassing and oil purification system CMM-4/7 in Nigeria. The company’s professionals started the system and provided personnel training for the client on site, specifically, at a transformer substations. The transformers underwent a full cycle fo repairs, transformer oil was processed to remove moisture and solid particulates, as well as gases, during oil treatment and adding of oil to the transformers.